Welcome to Episode 63 of the Final Surge Podcast where today we welcome back Ben Rosario, the head coach of Northern Arizona Elite. Ben just had four guys run 2:13 or faster and had two of his female runners crack the top 10 at the NYC Marathon. 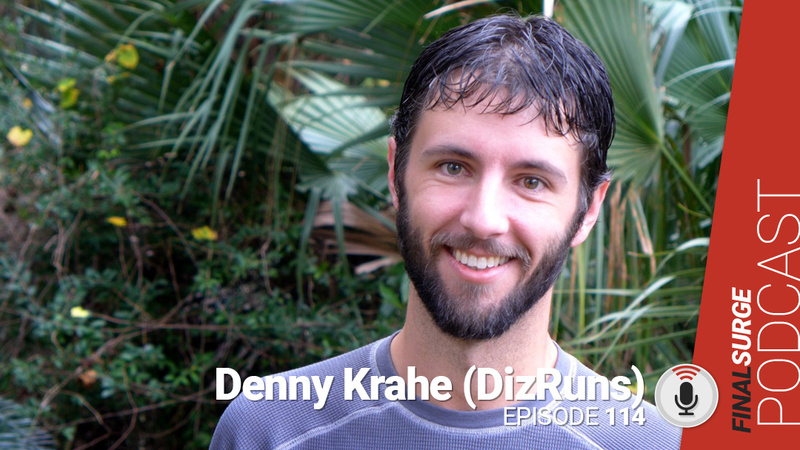 We talk about this fall and how the training went and then we spend the majority of the podcast talking about marathon specific training and his training plans that he has available on Final Surge. If you have interest in the marathon you are going to love this episode. Ben, we had you on the podcast in Episode 4, so people can hear your background there. Additionally, you were also a guest on Episode 44 talking about high school summer run training. Today I want to focus on some marathon talk, sound good? Your crew at NAZ Elite has had quite a fall on the marathon course. Let me run down a few of these. I believe it was in Chicago you kicked off the season where you had Aaron Braun run a 2:13? Then in Frankfurt, you had Scott Fauble make his marathon debut, Matt Llano came back from a long injury and an a strong race, and then Scott Smith set a 2 and a half minute personal best in the Marathon. So let’s start there with the guys. Four men ran 2:13 or under, that is quite some depth at the marathon, including a great debut by Fauble. How happy were you with the results? Was there a reason for Frankfurt? On the women’s side, you had both Kellyn and Steph run in NYC. And they both had top 10 finishes. Did they both decide to do NYC so they could train together? For a marathon to go well there is a lot that needs to go right. Not only on race day but also in training. So what went well that allowed you have such great finishes? You have this long list of elite athletes, but you also develop plans for non-elite runners. One example is that you worked recently with Matt Fitzgerald and helped him run a PR 10 years after his best marathon ever. Want to talk about that? We cannot talk about NYC without at least mentioning what Shalane Flanagan did by becoming the first American women to win in 40 years. What does this mean for American running? You have proven you can certainly coach marathon runners, so let’s talk about some marathon training. On Final Surge at Finalsurge.com/NAZElite you have some training plans that are available for purchase including 5 marathon plans. The 5 marathon plans are a Beginner, Intermediate, Advanced, Elite and the Eric “Big Dog” Fernandez Awesome Marathon Plan. Can you tell us what the difference is between these? How does someone know which they should get? Let’s talk a little bit about that beginner plan. The plan starts at 25 miles a week and builds up to 48-50 miles. And It looks like one long run up to 20 miles. The first couple of weeks is all easy runs with a long run one day a week. A newer runner who is running their first marathon may not know what their paces should be, how would you tell them to find their easy run and long run paces? In week three you start adding workouts with a fartlek. Some people say you should wait longer into a buildup so why are you adding in a fartlek here? After you start workouts and you are getting to the end of your first month, what should a beginner marathoner’s week look like for training? How many days should they be running and how many should be workouts or long runs? Later on in the plan you introduce the medium-long run. How does this compare to the long run? What about races, how often do you recommend shorter races for someone training for a marathon? One of the workouts is a workout that many athletes who have trained for shorter races know well, but you are using it in the marathon and that is the 12x400m. What is the purpose of this workout for a marathon runner? As I mentioned earlier you hit a high of about 50 miles, and then the week before the marathon you run 41 miles. Talk about the taper and what athletes do wrong with the taper? The marathon is a completely different beast than the shorter races when it comes to fueling. And within that I would assume there is a big difference between someone who is running a marathon in 2.5 hours versus someone who is running a marathon in 4.5 hours, is that true? What about workouts? What workouts are you doing to allow them to handle the wall better? Are you doing carb depleted workouts? What is the difference in race-specific workouts for the Beginner plan versus a more Advanced plan? With your log runs you seem to spice them up quite a bit with surges and adding workouts into them?